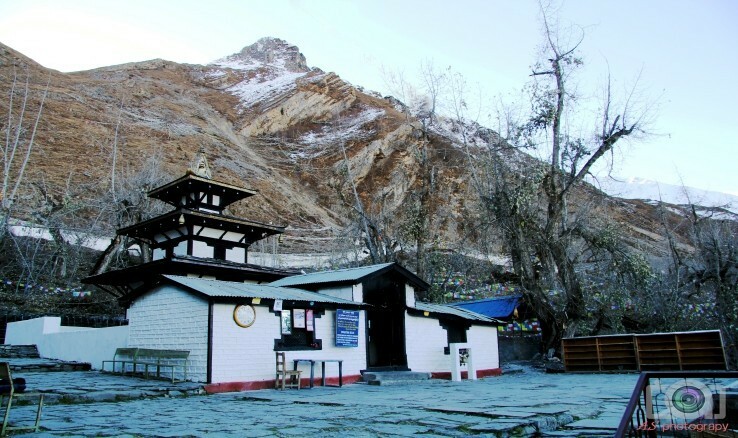 The beautiful Saligramam, or as it’s popularly known Muktinath, is a sacred pilgrimage site regarded highly in both the Hindu and Buddhist beliefs. From here, at a height of 3,710 meters, the world seems to open up in all its glory with stunning views of the magnificent Himalayan Mountains. There are many legends that tell how the holy shrine of Muktinath rose up on its own accord amongst seven others, which include Srirangam, Tirupati, Sri Mushnam, Thothadri, Naimisaranyam, Pushkaram and Badrinath. The holy shrine is also considered to be part of the 108 vaishnava shrines found here. Day 01: Arrival Kathmandu, welcome and transfer to Hotel. Arrival at Kathmandu Tribhuvan Airport pick up from airport, transfer to Hotel. Visit to Pashupatinath, is Shiva who is Top of the Hindu God, one of the holiest oldest temples of the world revered and worshiped both by Hindus and Buddhists. Listed World heritage site, Temple is located on the western bank of Bagmati River, Evening there will be Arati at 6.00 PM every day, after see Arati and have Darshan back to Hotel and overnight. After Breakfast, you will proceed to Kathmandu Sightseeing places to visit. Boudhanath the holiest shrine for the Buddhist culture in Nepal, Budhanilkantha is a place of pilgrimage for all Hindus, is sleeping Vishnu, colossal statue of lord Vishnu reclining on a bed of snakes on Water pond. So is called Jai Narayan also. Swayambhunath, famous world heritage site with magnificent views of the Kathmandu valley and tribute to Buddhism, Kathmandu Durbar Square (Center of City). This square is famous for old palaces, temples, Kumari Ghar and Patan Durbar Square is known as the city of fine arts . The square is full of ancient palaces, temples and shrines, noted for their exquisite carvings. The city is full of Hindu temples and Buddhist monuments. And Krishna Temple-Built in the seventeenth century, the temple of Lord Krishna holds a commanding position in the palace complex of Patan - 5/6 hrs and back to hotel,free time for individual programme. Overnight in Hotel. After breakfast, Drive / fly to Pokhara, Arrival in Pokhara transfer to Hotel, Evening leisure, overnight at Hotel. After breakfast, transfer to Airport fly from Pokhara to Jomsom-2700 M. by Schedule flight. Arrival at Jomsom Transfer to Hotel immediately walk to Jeep stand (20 Min.) 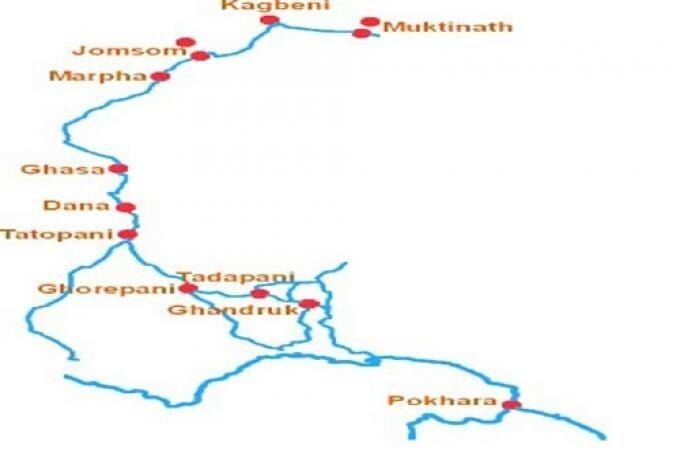 we will transfer you to Muktinath by Jeep (2.30 Hrs. 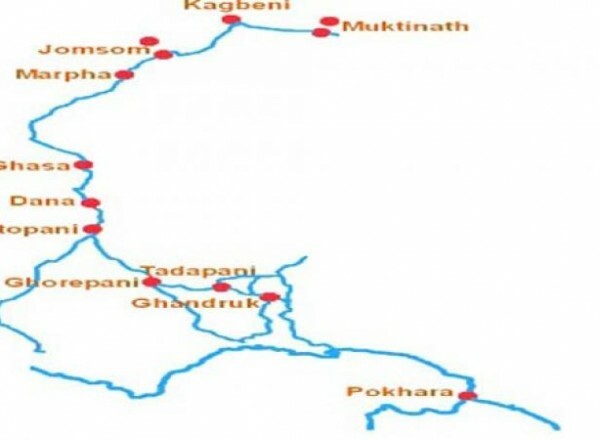 ), On the way you will enjoy to see the scenery of nature beauty places, George of Gandaki River, Monastery & Kagbeni, This is famous for Holy bath point of river Gandaki which is 8 Km from Jomsom You should go there to leave inside main road, where people will do funeral ceremony (Shraddha) of their past parents, where every stones are represent of Shaligram, you can pick here. Then drive to Muktinath, Arrival at Ranipauwa 3710 Mtr. walks to Muktinath temple 3800 Mtr. 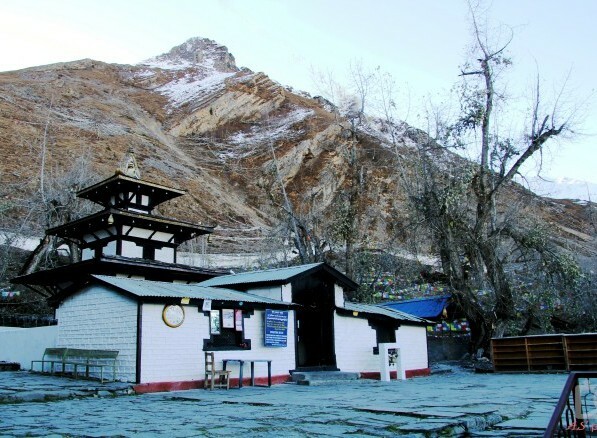 /40 Min., If you could not walk where you can hire pony till Main entrance of Muktinath compound, it takes 10 min by motorbike, arrive in temple, have holy bath on 108 waterspouts “Muktidhara” & in front of Temple there is 2 Kunda,is called Muktikunda, After have darshan and worship to Muktinath god, walk to Jwala Mai Temple and walk back to Ranipauwa and drive back to Jomsom by Jeep (2.30 hrs), Arrival Jomsom. Walk back to Hotel Overnight at Jomsom. At Morning fly back to Pokhara, Pick up from Airport transfer to Hotel, After short preparation proceed Pokhara city sightseeing places to visit Bindhabasini Temple, Bindhabasini is the mother goddess who fulfills the wishes of her devotees, Seti River, it is provides a perfect view of the river's dreadful rush and the deep gorge made by its powerful flow Devi’s Waterfall is locally known as the Patale Chhango (Hell's Fall). Devi's Fall (also known as Devin's and David's) is a lovely waterfall, Gupteshwor Cave is a sacred and natural cave there is temple of Load Shiva, So that is known Mahadev cave, The Barahi Temple is the most important monument in Pokhara. Built almost in the center of Phewa Lake, this two-storeyed pagoda is dedicated to the boar manifestation of' Ajima where to go by boat ride in Fewa Lake. Fewa Lake, the second largest lake in the Country, is the center of all attraction in Pokhara. Return to Hotel. Evening leisure, overnight in Pokhara. Early in the morning go for Sunrise from Sarangkot by Private vehicle, This place is situated in 1592 m from sea level, from here you will see the Fist-tail, Dhaulagiri, Nilgiri, Lamjung Himal, Mt. Annapurna I, II are in Annapurna range and other mountains, you feel like touch the mountain from here, drive back to hotel, after breakfast drive/Fly back to Kathmandu, Arrival Kathmandu, transfer to Hotel for overnight. After breakfast, transfer to Airport and fly to yours onward Destination. As it is very short trek we recommend you to bring some warm clothing and below items to protect you from cold and sunlights.